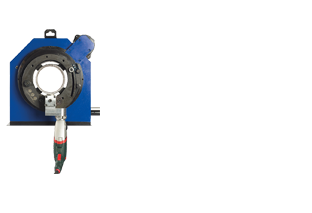 Small, Medium and Large diameter Pipe Cutting and Beveling Machines, designed to suit the arduous conditions of todays job sites. TAG manufacture a diverse range of pipe cold Cutting and Bevelling Machines. From Orbital Saws for the workshop, reciprocating saws for on-site work, and our most popular TAG Split Frame Clamshell Pipe Cutting and Bevelling Machines. Range: 1" - 12" (25mm - 610mm) optional up to 24"